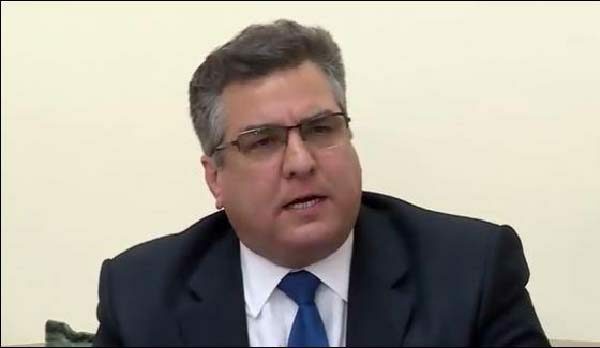 Daniyal Aziz Saturday said Pakistan Tehreek e Insaf (PTI) chief Imran Khan and Pakistan Awami Tehreek (PAT) Chief Dr.Tahir ul Qadri had made political alliance in their attempt to get power. different tactics to get power and adopted all back doors for it during last three years. He pointed out that three different movements launched on different names against the government which all had same objective to de stabilize the country from path of development. but no law allowed anyone to announce the date of ending the government. Replying to a question, he said Imran Khan was master for taking U Turn. It was the responsibility of the government to provide security to processions or rallies but PTI’s rallies had badly affected the country’s economy, he added. nurseries of terrorists due to which, they were attacking soft targets in the country. To another query, he said Federal Board of Revenue (FAR) had already issued notices to all those who were mentioned in Panama papers.